Here is one of the reasons they call it The Greatest Generation. 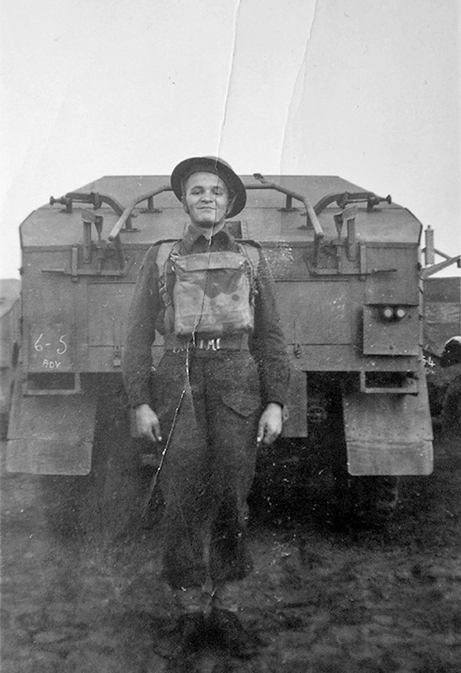 Canadian Army veteran Russell Thompson of Seeley’s Bay, Ontario, who will turn 99 in a few months, embodies the values that made this country great. Seven decades after German artillery fire blew up the Sherman tank Stan Stachera was riding in, as he crossed a muddy intersection in the Netherlands, the folding leather cribbage board he made during his hospital recovery remains his family's favourite link to his wartime past.